If you’re completely confused about fats you’re far from alone. The messages about them are constantly shifting, and frankly it’s been hard to keep up. But there might finally be a light at the end of the tunnel. For a long time the message coming out of the halls of conventional medicine was that fats are bad for our health. We were told we ought to avoid them as much as possible. And, sadly, saturated fats were said to be especially dangerous and should be avoided at all costs. But then those messages started to shift. We began to hear that maybe… just maybe… not all fats were quite as bad for us as we had been told. But saturated fats still had a black eye. Now many mainstream medicine professionals and researchers are finally beginning to admit that they might have been wrong all along. They’re starting to say that what traditional food advocates have already been preaching for decades is actually true, saturated fats aren’t the devil. In fact, organic butter, grass-fed and organic meats, coconut oil, and other saturated fat products can play an important role in our health. Eating MORE of the RIGHT kinds of fats can support our hearts, brains and bodies. Refreshingly we’re now hearing that it’s trans fats that should have been on the ban list all along. These incredibly unhealthy, processed fats can wreak havoc on our health and they’re finally getting the infamy they deserve. It’s time to let those old fat myths die. The truth is we need a moderate supply of healthy, dietary fats for optimal brain and immune health, hormone balance, skin health and more. In fact, we’re biologically programmed to detect fats in our environment! A recent study conducted in the U.S. and the Netherlands found that many people can figure out the fat content in milk simply by smelling it. This makes perfect sense. Because, you see for most of human existence, we had trouble getting enough to eat, and fats are calorie-dense. Now, of course, we have a different problem. Many of us take in too many calories, leading to obesity, heart disease, metabolic syndrome and other conditions related to our poor diets. For many years, the food industrial complex has advertised low-fat and no-fat foods as a way to eat healthier. But this contradicts some pretty fundamental facts about our biology. We need fat. Every cell in our body contains fat. The cell membrane, largely composed of fats, is vital to the life of the cell. It even functions as the “brain” of the cell, receiving and processing messages from the environment as well as sending messages. 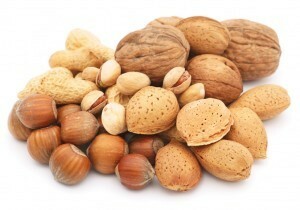 Healthy fats mean healthy cell membranes that function as they were designed to. So the issue is not whether we should banish fat from our diets. The issue is what kinds of fats we should be eating. The truth is there’s a lot to like about healthy fats. and numerous other areas of health. Bad fats, on the other hand, quite often do exactly the opposite. We need to eat more of these foods because in moderation, these fats support healthy cholesterol levels and, ultimately, our hearts and our brains. They can even help moderate inflammation which is at the heart of essentially all chronic disease. The other recommended fats are called polyunsaturated. Think salmon, other fatty fish, nuts and seeds. These foods contain the polyunsaturated fats, omega-6 and omega-3, in varying ratios. Our American diets contain a higher ratio of omega-6 to omega-3. What we want is a better balance with equal or higher omega-3s such as the ratio found in flax and chia seeds as well as salmon and other fatty fish. Omega-3s reduce inflammation, are excellent antioxidants and have been shown to help people lose weight, as they can enhance both fat and glucose metabolism. Saturated fats, common in meats, whole milk, butter, coconut and other sources, were once thought to be associated with heart disease and weight gain; however, new research is showing that these fats can play an important role in nourishing the body and brain. Recently, large-scale studies reported that saturated fat does not increase the risks of heart disease, contrary to what we’ve been hearing for decades. Many mainstream medicine experts still stubborn assert that these findings aren’t conclusive, as there isn’t a large body of clinical data on the effects of certain fats. However, preliminary studies have demonstrated that the right kinds of fats can support immunity, reduce inflammation, balance cholesterol levels, enhance neurological and cognitive function, regulate hormones and more. There’s another class of fat that’s been getting a lot of deservedly bad press lately — trans fats. Trans fats are typically made when hydrogen is forcibly added to vegetable oil, and are found in margarine and countless processed foods. Manufacturers like hydrogenated oils because they act like traditional shortening and increase a product’s shelf life. Ironically, the scientists who discovered the hydrogenation process won the Nobel Prize. Trans fats raise bad cholesterol (LDL) and reduce good cholesterol (HDL). They also increase the risk of heart attack, stroke and type 2 diabetes. They boost inflammation, and they’ve been associated with cancer. Trans fats have even been linked to aggressive behavior. By comparison, saturated fats are superfoods! The Food and Drug Administration (FDA) recently announced a ban on trans fats, noting that simply removing this harmful ingredient from our diets could prevent 20,000 heart attacks a year. Other research has found that eliminating trans fats could prevent as many as 20 percent of deaths from cardiovascular disease. 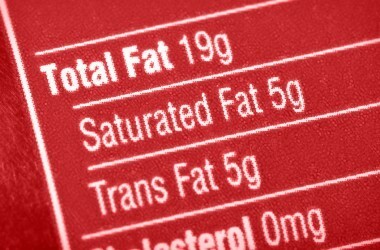 Keep in mind, trans fats aren’t exiled from foods yet, so we still need to be careful consumers. That means avoiding any product with hydrogenated oils. The easy way to do this is to simply stop eating processed foods. French fries, donuts, chips, crackers — these are generally loaded with trans fats. Fortunately, there are a lot of healthy fats to choose from, and studies showing the benefits of a Mediterranean diet demonstrate how the right kinds of fats can be beneficial for heart health. A compelling new study published in the journal PNAS shows us that when we add olive oil, nuts and/or avocado to a meal with lots of vegetables high in nitrites and nitrates, such as spinach, celery and carrots, a synergistic action occurs. The fats react with the nitrogen compounds in the vegetables, to produce what are called nitro fatty acids that can have significant benefits for cardiovascular and overall health — particularly for healthy blood pressure. Researchers say these new findings help explain previous studies showing that a Mediterranean diet — which emphasizes these food combinations — can reduce risk of stroke, heart attack and cardiovascular disease. There are two ways we can get in trouble with fats: Either we eat everything that looks good and don’t worry about it, or we go to great lengths to eliminate all fats. But the best path is the middle road: Understand what fats are, carefully choose the healthiest varieties and reduce or eliminate the fats that we know are bad for us. 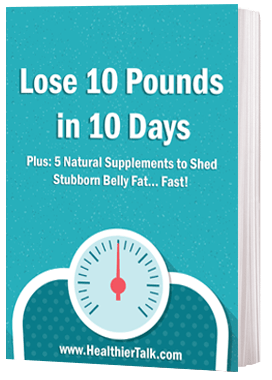 Do this and maintaining a healthy weight and good heart health will be a breeze, and you’ll be rewarded with a multitude of long-term benefits on the cellular level. Dr. Isaac Eliaz, a pioneer in the field of integrative medicine since the early 1980's, is a respected author, lecturer, researcher, product formulator and clinical practitioner. Since 1991 Dr. Eliaz has maintained a busy private practice in northern California that focuses primarily on integrative, holistic protocols for cancer patients. He leads an integrative medical team at Amitabha Clinic in Sebastopol, California with focus on cancer and other chronic ailments. To learn more, please visit www.dreliaz.org. While there are true healthy suggesting in this article but the latest wide-spread advertisements about the only true healthy diet is the Mediterranean one is not always correct. If you ever visited Mediterranean countries like south of France, Spain, Italy and Greece as I did numerous times, they used food like prosciutto, bologna which are highly cured and processed meats. Plus eating pasta, pizza and Italian bread is not healthy either. By the way, Greece is famous of having the most overweight people in whole Europe. So, true Mediterranean diet is NOT that much healthy. The only really healthy diet is the diet of our ancestors going back 10 to 15 thousands years ago before agriculture revolution and this diet is called the Primal or Paleo. This is not a diet but the way of feeding yourself so our DNAs can recognize this type of food as the food DNAs have been evolved for almost 2 millions years. I don’t think the writer has been following the latest research on the dangers to the brain of diets high in saturated fat. He should Google saturated fat and Alzheimer’s. Diets high in saturated fat are linked to Alzheimer’s. Two studies in mice have also been published recently in which the mice were given high saturated fat diets. In one study, the saturated fat had the effect of “munching” on the animals’ synapses. In the other, the mice lost their memories, though it was reversible loss. It took 3-9 months for their memories to return.